Which, unfortunately, a few people misunderstood as me complaining “what about us?”/“what about me?” while Rock spoke about the struggle of being Black in White Hollywood (I was not, as the timeline above attests); or me demanding that Black people — in this instance, a Black comedian and filmmaker — do the heavy lifting for other communities of color (no, they should not); or me lecturing a Black American about inclusion, which would be beyond insulting given the long history of exclusion and institutionalized racism that Black people have faced and continue to face. Though my question was posed in the spirit of “This is our struggle, too,” it was heard by many in the competitive vein of “what about me?”/“what about us?”, exacerbated by the very real feeling among many Black people that Latinos, Asians and other people of color don’t care about them. Whatever my intention, the question I tweeted helped set off the hashtag #NotYourMule. But this isn’t about me being misunderstood, or a strand of what I’m saying being taken out of context. That can happen to anyone when conversation is limited by 140 characters at any given time. Communication via social media, as we all know, can be as limiting as it is freeing: How I say something — how I pose a question, for example — is not necessarily how someone will read it or hear it, and I apologize for sounding like I was expecting Black people to do the work for others. (I, for one, am doing what I can — more on that later.) This is about the fact that we cannot allow a deep, important and necessary conversation about diversity in Hollywood — and diversity and representation in media, full stop — to turn into a misdirected conversation about what Black people need to do to help other people of color. It’s about a much bigger conversation that we all need to be having. And since I helped set off the conversation, I thought I’d give my thoughts on #NotYourMule and, more importantly, what I plan to do about it. 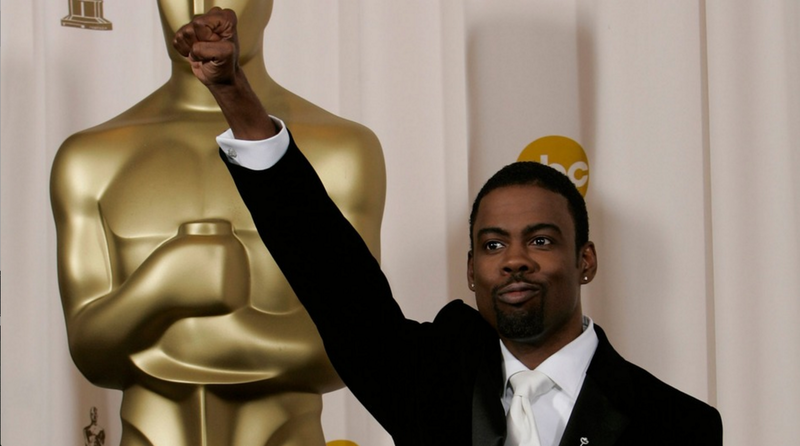 Why is Chris Rock obligated to speak up for [insert non-Black community here]? And it must be said that Black movements for change are some of the most powerful and inclusive examples for other communities, as CJ Louis wrote here on Medium. James Baldwin is my personal hero; his quote, “Our history is each other, that is our only guide,” is my journalistic motto. Even though Baldwin wasn’t speaking directly to my experience, I never feel excluded or left out when I read him. Quite the opposite. Reading Baldwin emboldens and empowers me. Why not hold other Latinos such as yourself accountable for speaking up for your own people? Tell George Lopez to say something! I get this a lot so let me clarify: I am not Latino, I am Filipino. (In general, if you meet a person who looks Asian but has a Spanish name, they’re Filipino. It’s called colonialism.) And, sorry, I don’t know George Lopez. But the sentiment is absolutely correct. Actually, since we’re talking about Asian Americans, this is a good time to talk about the Asian Americans protesting about Peter Liang’s trial, and how painful that is not only to Black communities, but Asian people who want no part of anti-Black racism. It’s something that I talk about, and encourage other Asian people, including my young nieces and nephews, to talk about. What did you mean by saying that race isn’t Black and White? Are you trying to de-center Black people? Here’s what I mean by race not being a “Black and White” issue. Take the example I just gave of the coverage of the Peter Liang case and conflicts between and within Black and Asian communities. When the media does talk about race, they usually frame it as a White-vs-Black question. Occasionally, it’s White-vs-Latino, or White-vs-Asian, and so on. Always White-vs-something. But what about the conversations that people of color have across and within their communities? Where are the stories about conflicts and community among Black people and Asians, between Latinos and Arab Americans? Why are Native Americans usually invisible in these conversations? Don’t get me wrong — I believe that White people need to think about their identity, just like everyone else. I even made a whole documentary about that, which prompted its own set of uncomfortable conversations. But White people don’t always need to be at the center of the conversation. That’s where big media — and #JournalismSoWhite — fails, in my opinion. But anti-Black racism is not a trending topic — it’s a real, continuing problem within Asian, Latino, Arab, and many other communities, and it’s even more complex for people of mixed backgrounds. It didn’t start with the Oscars, and it’ll still be here next week, when reporters find a new hashtag to make listicles about. What are you going to do about it, Jose? Just tweet? Tweeting is a hobby. Journalism is my job. Though I identify with many groups — I am an undocumented gay Filipino with an Asian face and a Latino name who majored in African American studies and made a documentary called #WhitePeople — chief among my identities is my identity as a journalist. Since I was 17 — a year after I found out I was in the U.S. illegally —I’ve been a journalist. Journalism is my church, reporting is my religion, and my work traffics in empathy. And we will address #NotYourMule; and explore anti-Blackness and “colorism” among various communities; and talk about what it means for White people, an emerging racial minority, to be “allies”; and discuss what drove Chris Rock to include that unfunny, stereotypical bit about Asian kids; and all sorts of other potentially combustible conversations on #EmergingUS, my new media start-up. As a journalist, I firmly believe that we cannot talk about America being a country of immigrants — mostly European immigrants in its inception, largely Latino and Asian immigrants in the past few decades— without acknowledging the struggle of Black Americans and Native Americans. We cannot emphasize our commonality without first confronting what makes our experiences different. The survival of this emerging America requires that we see each other fully, and more humanely. So we need to create a new media for this new America. Twitter isn’t enough. The news media as it stands isn’t enough. We can do more, and my promise to you is that I’ll keep fighting for that, even though folks like Bill O’Reilly think I don’t deserve to be here. Well, I am here. And as long as I am here, #EmergingUS will be here for the uncomfortable conversations. P.S. To address any and all questions about #EmergingUS, #NotYourMule, #JournalismSoWhite, et al, I will be hosting a Facebook Q&A on the #EmergingUS page at 2 p.m. EST on Wednesday (tomorrow!). Join me. Founder/CEO of @DefineAmerican. Journalist. Filmmaker. Media entrepreneur.